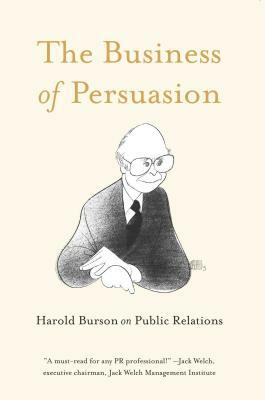 Harold Burson, described by PRWeek as "the 20th] century's most influential PR figure," is perhaps the most recognized name in the industry today. The 96-year-old founder of PR giant Burson-Marsteller has had an incredible 70-year career, in which he built a global enterprise from a one-man consulting firm. By way of personal and professional examples, Burson shows readers what public relations really entails--its challenges, methodologies, and impacts. His anecdotes on PR challenges like the "Tylenol crises," the removal of confederate flags from Ole Miss, and the introduction of "New Coke" illustrate Burson's time-tested tenets of great PR and crisis management. He interweaves iconic moments from the history of public relations into his story, making this a priceless and fascinating guide for professionals in any industry. Public relations is practiced not only by every institution, but also by every individual. Throughout his ground-breaking career, which Burson describes as "a series of defining moments," Burson set standards for corporate and individual behavior, insisting upon corporate social responsibility, product excellence, and unabated integrity. His legacy has shaped generations, and will shape many more to come. Harold Burson is the co-founder of Burson-Marsteller, one of the largest public relations firms in the world. Born in 1921, Burson played a leading role in transforming the practice of PR from a cottage industry to a global enterprise over the course of the 20th century. He has been called "the [20th] century's most influential PR figure" by PRWeek--a reflection of his role as a counselor for generations of CEOs, government officials, and public sector leaders. Burson entered Ole Miss at age 15 and paid his way by serving as a campus correspondent for the Memphis Commercial Appeal. He later joined forces with Bill Marsteller to establish Burson-Marsteller in 1953, which today operates in 60-plus wholly owned offices on six continents. He has received numerous awards from PR organizations including Hall of Fame designations by the Public Relations Society of America, PRWeek, PR News, and the Institute of Public Relations. He was awarded an honorary degree by Boston University in 1988, and a chair in PR was established in his name in 1995. He was also active in numerous public service organizations, principally the John F. Kennedy Center for the Performing Arts. He was chairman of the Council on Economic Education in the early 1990s and chaired the Private Sector Public Relations Advisory Committee for the US Information Agency during the terms of Presidents Ronald Reagan and George H.W. Bush. He has been a Presidential appointee to the Commission on the Fine Arts, a member of the board of trustees for the Museum of the American Revolution, and a public relations advisor to President Reagan. Harold Burson was married to Bette Foster Burson for 63 years. He has two sons and five grandchildren and lives in New York City. At the age of 96, he continues to appear in his office five days a week.